Hiya papayas. It’s me again (Ash). If you follow @theneonleopardblog on Instagram (if you don’t yet, please do) then you know that Chris is currently on an epic month long trip to South Africa. So, you’re stuck with me. But, you can look forward to some incredible TNL Travels content from her upon her return. She has been on many adventures including swimming with sharks and hobnobbing with elephants, so it’s sure to be good. In the meantime, let’s catch up. I will be sharing some of the items that I have introduced to my skincare regimen in the last few months from Paula’s Choice. 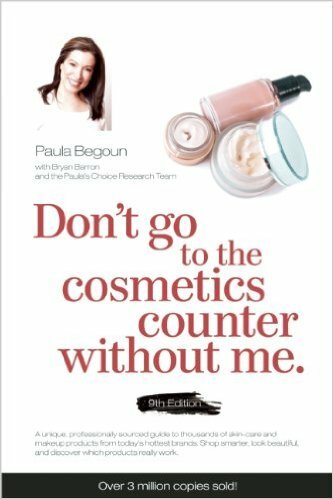 If the name Paula Begoun rings a bell, that is probably because you have heard of her bestselling book, Don’t Go to the Cosmetics Counter Without Me. Her books have sold over three million copies and have been translated into eight languages. Begoun has become known as the ” Cosmetics Cop”, having made a career out of busting myths in the cosmetic and skincare industry and advocating for products that offer full transparency in their ingredients and practices and have been subject to peer reviewed research. Paula Begoun also has her own line of beauty and skincare products, Paula’s Choice. I have always been really curious about her products because this is a woman who has dedicated a career to finding out what works and what doesn’t …so the products are likely impressive. First of all, the Paula’s Choice website has SO MUCH information. All of the products are linked to sources to support claims made about them and there are articles galore about skin and skincare products. The Paula’s choice line of products contains everything from lotions and serums to bronzers and mascara. When I decided to give the products a whirl, I really wanted to concentrate on the skincare stuff that would really benefit my skin. Her beta hydroxy acid (BHA) and alpha hydroxy acids (AHA) products are very well reviewed and talked about often so I decided to start there. BHA is an acronym for beta hydroxy acid, which is more commonly known as salicylic acid, an ingredient that has multiple benefits for numerous skin types and concerns. BHA exfoliate both the skin’s surface and inside the pore, reshaping the pore lining, unclogging pores and improving skin cell turnover rate. This creates a dramatic improvement in the skin’s appearance, feel, and function, leading to healthier skin. There is a great deal of research indicating that BHA (beta hydroxy acid) increases collagen production and drastically smooth the surface of skin. Additionally, BHA has antibacterial properties that attack blemish-causing bacteria. AHA is an acronym for alpha hydroxy acid. There are several kinds of alpha hydroxy acids. AHAs can be naturally derived from various plant sources and from milk—though the majority of AHAs used in cosmetics products are synthetically derived because this type is more stable in a formula. AHAs include ingredients such a glycolic acid and lactic acid, which are the most effective and well-researched forms. Malic acid, citric acid, and tartaric acid may also work, but there is little research showing them to have benefit for skin. Your skin naturally sheds millions of cells every day, but factors like sun damage, dry skin, or skin disorders can slow down the process or cause it to malfunction. AHAs step in to help by exfoliating the excess skin cell buildup that causes skin to look less radiant and even. It does this by gently breaking down the glue-like substances in skin that holds cells together for longer than normal, an action which causes dead cells to shed. They both sound good, right? So, which one is the right choice? Well, that depends on your skin and its needs. 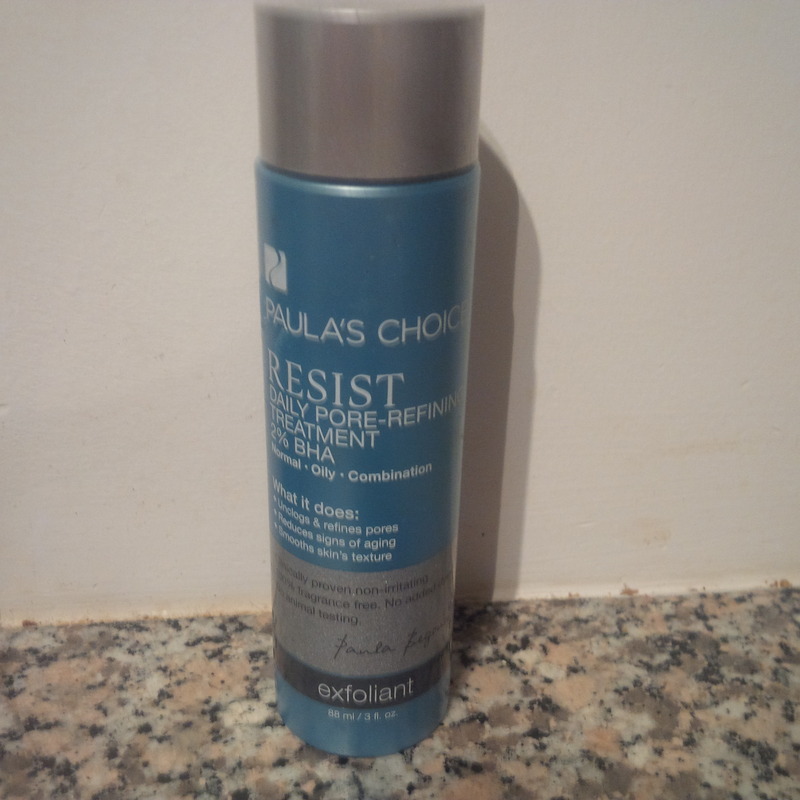 Paula’s Choice recently polled fans on their Facebook page to see if they preferred using an AHA or a BHA exfoliant. From the reading I have done, the basic difference seems to be that AHA’s work primarily on the surface of the skin while BHA’s penetrate deeper. AHAs are preferred for sun-damaged and dry skin because they exfoliate on the surface of skin and have the added benefit of also improving moisture content. BHA is preferred for oily, acne-prone skin and for treating blackheads and white bumps because BHA can get through the oil that’s clogging your pores, normalizing the lining of the misshapen pore that contributes to acne. BHA has anti-inflammatory and antibacterial action. Those are two more reasons to use a BHA exfoliant if you have acne or sensitive, reddened skin. BHA is preferred for those struggling with rosacea. Not everyone with rosacea can tolerate an exfoliant, but it is wise to experiment with a BHA product to see how your rosacea responds. So, I decided to go with some BHA products. I picked up the Resist BHA Exfoliant set. This duo is $58 USD and contains the Resist Daily Pore Refining Treatment with 2% BHA and the Resist Weekly Retexturizing Foaming Treatment with 4% BHA. These products are recommended for oily- combination skin, and works to shrink enlarged pores, clear breakouts, reduces wrinkles and reduce signs of aging. Both products are fragrance and colour free. The Resist Daily Pore Defining Treatment is a watery clear liquid. I apply it like a toner, saturating a cotton pad and sweeping it over my entire face before bed. The Retexturizing Foaming Treatment is a foam that pumps out. I use a small pump and apply to my face using my hands. Both products absorb quickly without leaving my face sticky. I read some reviews where users experiences redness or a burning sensation when applying these products, but I find them gentle and non-irritating on my skin. Directions say to use the 2% solution daily and the 4% one weekly, but I use the higher concentration retexturizer a couple of times a week. 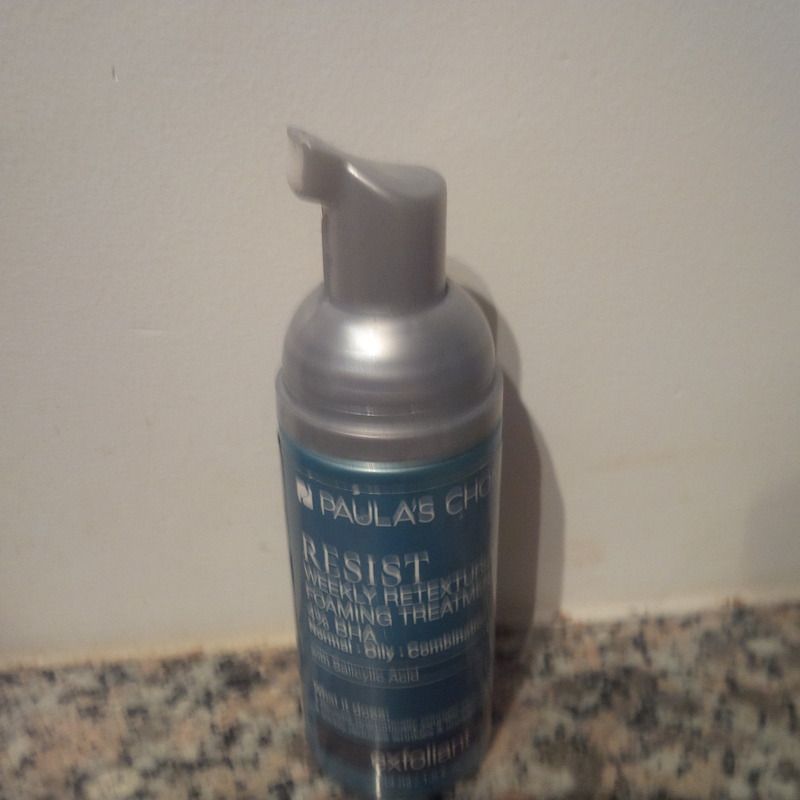 The quickest change I noticed when I started to use the Paula’s Choice BHA products, was the softness of my skin. I noticed this change as soon as the first morning after using them. My skin even more noticeably soft than it is when I use a face oil before bed. With continued use I have noticed that my skin appears brighter and breakouts are fewer. I truly have not found it to be very pore refining or minimizing. Overall, I think that introducing BHA products has been beneficial to my skin and I will continue to experiment with more products containing this ingredient. Most of all, I am super impressed with how thorough and informative Paula’s Choice is about their products and the ingredients utilized to make them. Another pretty cool thing about Paula’s Choice is that you can order most of their products in teeny sample sized packets. That is a great way to try before you invest in full sized items, and they are really handy for travel. Paula’s Choice is a line fairly new to me, so I would love to hear from you if you have used the line and have some recommendations. If you give these a go , please also let me know what you think!